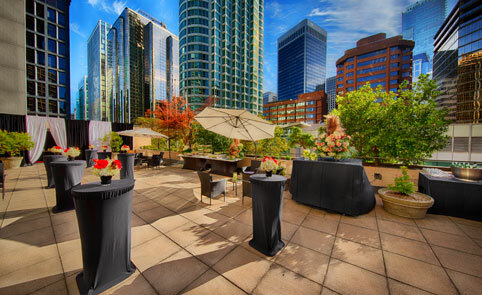 From a rooftop patio to Vancouver’s only revolving 360-degree event venue, our versatile spaces are perfect for any event. Bring your wedding to life in some of Vancouver’s most unique and flexible event spaces, including Vancouver’s only revolving event space. In the heart of the city within a 3 minute walk of the Vancouver Convention Centre. 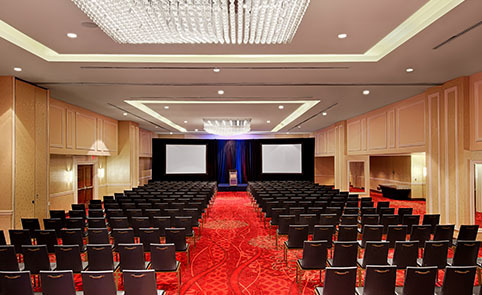 Functional beyond just events, our venue is perfect for meetings, banquets, seminars, conferences and tradeshows. Our flexible meeting space can easily accommodate all your needs. 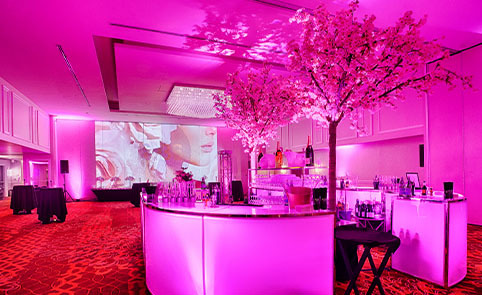 Not just for meetings, our versatile event space is perfect for any need. Easily host social events, graduations, intimate dinners, receptions, ceremonies and all kinds of parties. Bring your wedding to life in some of Vancouver’s most unique and flexible event space, including Vancouver’s only revolving event space, catered by our experienced event teams. Looking for an outdoor wedding cocktail reception against a beautiful urban backdrop? Host a fully catered wedding celebration on our sundeck while enjoying city views and entertaining up to 150 guests in a reception style. 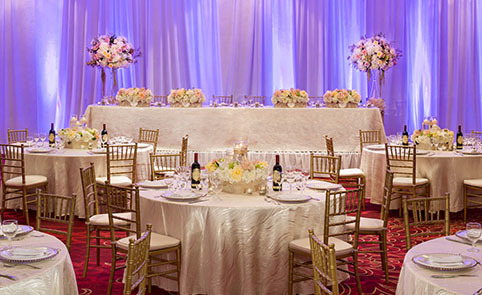 Contact vancouver.weddings@pinnaclehotels.ca for viewing times, availability and pricing. 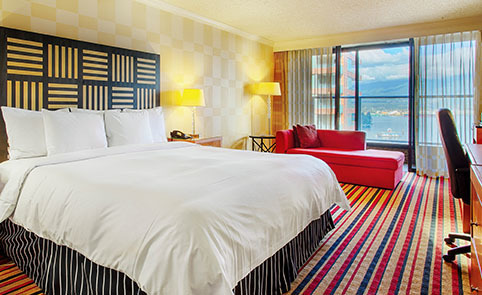 Experience breathtaking waterfront views or Vancouver’s dynamic skyline from our spacious rooms and suites. All our guestrooms offer the comfort, convenience and amenities you’ve come to expect - including free wifi, swimming pool, hot tub, health & fitness club and on-site dining. Select from a variety of options including All Day Packages and save. 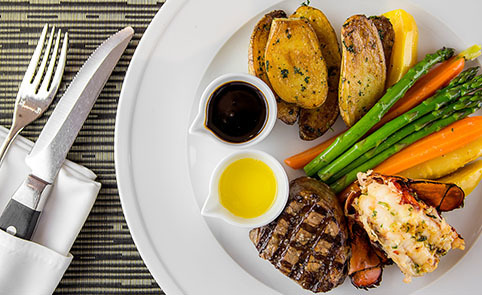 Customize your menu the way you want - whether it be cultural, dietary or creative, our on-site culinary team is well equipped to handle it all.